By buying this product you'll earn up to 91 Rewards points. The M-8x2 is part of Furman's Merit Series: solutions for people who need dependable power protection without spending a bundle. Install an M-8x2 in the top slot of your rack, and the eight outlets in the rear panel will power and protect your equipment. It's only 3-3/4" deep, so it fits easily even in shallow racks. Three of the AC outlets are widely spaced to accommodate bulky power transformers. 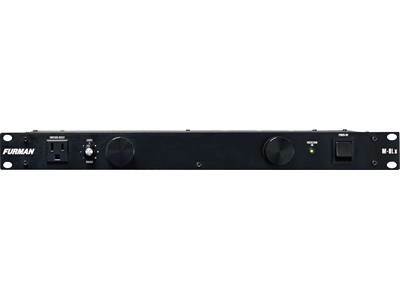 You've got a rack loaded with your processors, effects units, and more... and you're going to plug that into the wall? Really? One big spike and your gear is toast. Don't put your trust in wall AC, or the false security of a $5 power strip. Furman's legendary protection circuitry defends your gear from the spikes and surges that are so common at gigs and practice spots. 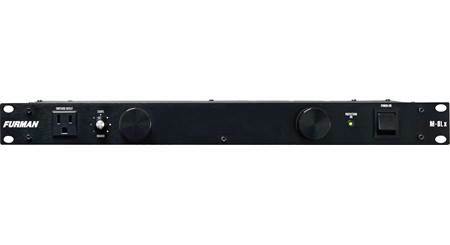 As a bonus, the M-8x2 includes Furman's effective RFI/EMI filtration, which can deliver quieter audio without the buzz and crackle that often comes along for the ride with unfiltered power sources. Very nice product. Works well and looks good on the rack. I will be buying another one soon. 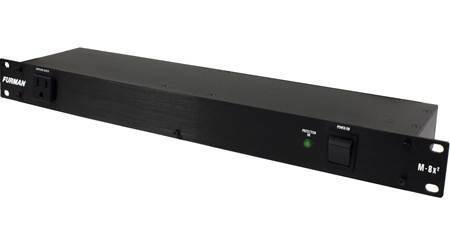 Overview: The Furman Merit X Series M-8X² is rack-mountable power conditioner, designed for use by audio/video professionals, contractors, broadcasters, musicians, and home owners. It has 8 high-quality AC outlets on the rear panel, plus a front panel convenience outlet. 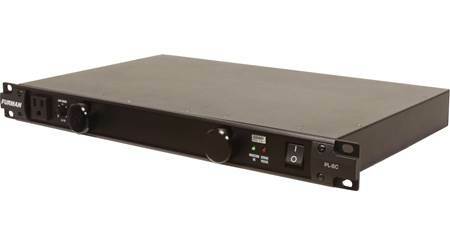 The unit is rack-mountable, and takes up 1U of rack space. The M-8X² has a flexible 6.5' power cord with three 14-gauge conductors and a 3-conductor Edison plug. 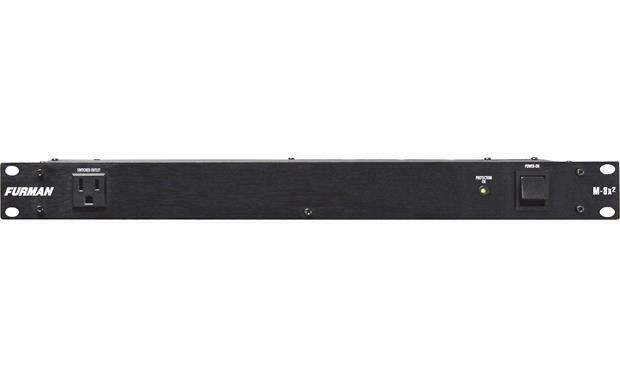 Applications: The M-8X² is recommended for professional audio and video applications, and can be installed in permanent or portable rack systems. 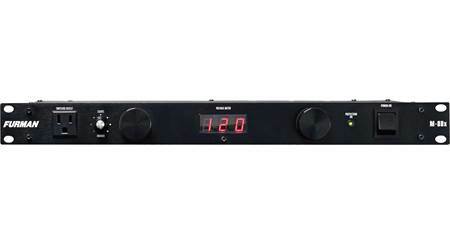 It can also be used in rack-mounted home A/V systems. Rear Panel AC Outlets: The M-8X² has a total of eight 3-pronged outlets on the rear panel. Using the front panel rocker switch, all of the outlets are turned on at once. Three of the outlets are spaced 2-1/2" apart to accommodate bulky AC adapters ("wall warts"). The other 5 outlets are spaced 1-1/4" apart. Convenience Outlet: On the front panel, a single 3-pronged convenience outlet is provided for powering devices that are not considered to be "permanently" installed. This allows you to charge your mobile phone or tablet without having to plug it into a rear outlet. The front panel outlet is switched on/off with the other outlets. 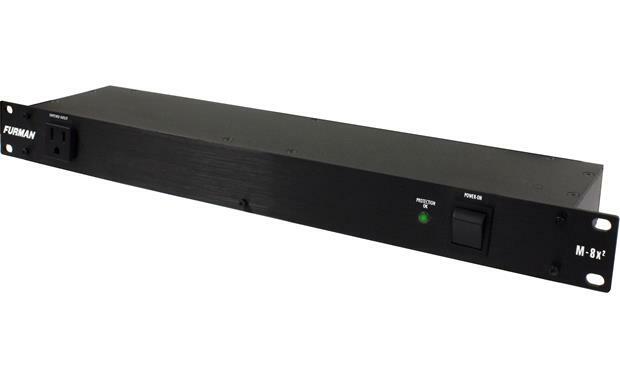 Surge Suppression: The M8-Dx provides excellent surge suppression for your connected equipment, with a 150 Joule rating (energy dissipation). Noise Filtering: The unit provides AC noise filtering to reduce radio frequency (RFI) and electromagnetic interference (EMI). By reducing the noise floor caused by dirty AC power coming into your sound and video equipment, you will get better performance without lines, pops, crackles, hum, or radio station signals coming out of your equipment. Circuit Breaker: The M-8X² has a resettable 15 Amp thermal circuit breaker on the front panel. If the breaker encounters an excessive load, it will "trip" to protect the connected components. After resetting the circuit breaker, you should reduce the load before turning the unit on. Get a conditioner with lights so you won't have to work in the dark. Searches related to the Furman M-8x2 Power line conditioner and surge protector.